Australian director Anthony Maras certainly gives audiences a white-knuckle ride in his true-to-life recreation of the dreadful terror attacks on Mumbai on November 26-29 nearly 11 years ago. Many South Africans will know the well-appointed Taj Mahal Palace hotel well, not least the Proteas cricket team who have spent many nights there on tour over the years. This movie, the feature film debut of Aussie director Anthony Maras, is not just a thriller, but a faithful recreation of the terrible events that took place over those four days; in this sense the genre is closer to that of United 93, the 2006 docudrama directed by Paul Greengrass about one of the planes that was hijacked by al-Qaeda terrorists on September 11, 2001. The movie also serves as a tribute to the staff at the five-star hotel who treated their guests “as God”, according to one of the real-life actors in the drama, chief chef Hernant Oberoi (Anupam Kher). Dev Patel gives the most striking performance, however, underplaying beautifully as the Sikh waiter who shows great courage and resourcefulness during the siege by four murderous gunmen who belong to the Pakistan-based Islamic terror group Lashkar-e-Tayyiba. The film begins with 10 members of the group grounding their boat at the Mumbai waterfront near the Gateway of India monument, next door to the Taj. The gunmen went on to attack 12 sites in Mumbai, but the film records only the attacks on the railway station and the Café Leopold as a prelude to the main assault on the Taj. Patel plays Arjun, a freelance waiter who desperately needs a shift at the Taj to support his pregnant wife. Other characters to interact with him in the terse, tightly constructed narrative are the married couple David and Zahra (Armie Hammer and Nazanin Boniadi) and their baby child and nanny (Tilda Cobham-Hervey), as well as a shady Russian businessman (played with relish by Jason Isaacs). Although it’s an ensemble piece, director Maras never allows the pace to flag as the gunmen haunt the corridors of the hotel, shooting anyone they see. One of the most pleasing aspects of the film is that nobody’s “saved by the Americans”, a familiar element in the makeup of the typical Hollywood disaster movie. Instead, it’s Arjun and Oberoi who stand out as the quietly modest heroes who put their lives at the service of their sometimes unruly and ungenerous guests. The scenes of violence are graphic, but the film’s real impact lies in the sometimes riveting tension, with gunmen stalking a room where a terrified nanny is hiding with a baby. Maras, who also co-wrote the film with John Collee, was particularly concerned to get his facts right when making the film. To this end he interviewed 40 of the survivors, used the trial transcripts of one of the gunmen as well as some of their telephone calls to their ringleader, “The Bull”. I was also impressed with the film’s tone. It would have been easy to turn a relatively recent tragedy into the ingredients for a popcorn thriller. Maras ensures this doesn’t happen, focusing on the courage of the hotel staff and guests, and the terror they must have felt. He also doesn’t make the terrorists cardboard cut-outs, fleshing out their characters to a degree that must have seemed unlikely. 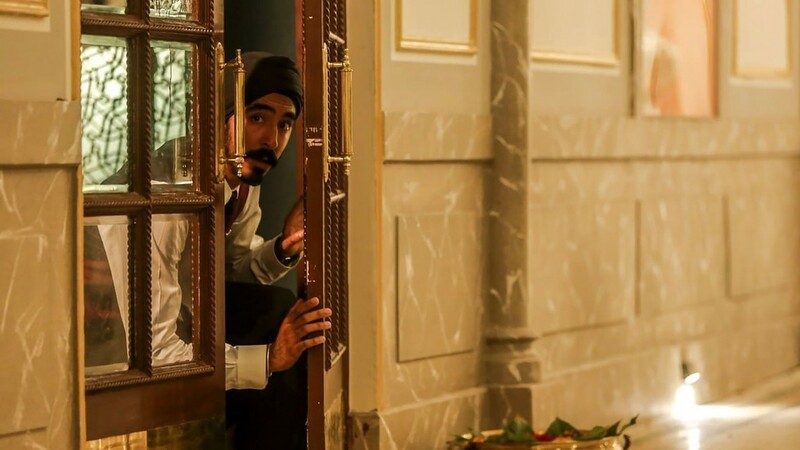 Hotel Mumbai is a gripping, realistic and sympathetic recreation of India’s worst terror attack.